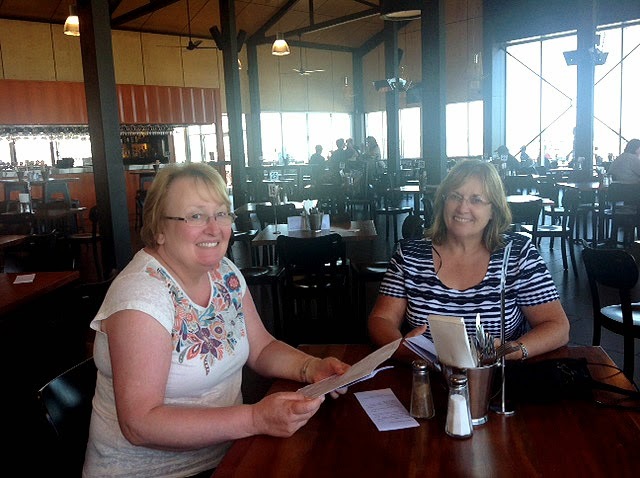 Here they are choosing lunch at Due South, on the Albany foreshore. 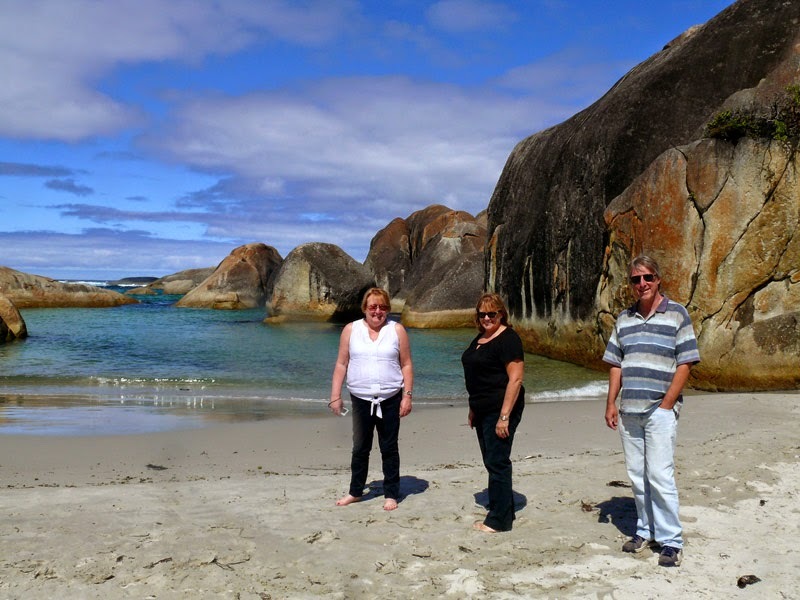 We had a delightful day out driving along the coast between Denmark and Walpole, this is a beautiful spot called Elephant Rocks. Now, I am an idiot, there are a group of huge rocks that indeed look like a group of elephants but derrrr, I forgot to photograph them. This one does have another elephant in it though, can you see it along the bottom, the line of its back, with the top of its head and one ear over in the right hand corner. We climbed down the cliff path to the bottom of Elephant Rocks, where there is the most lovely little beach tucked away. What a shame we didn't have our bathers with us, when we set out it was overcast and very cool, who knew what a beautiful day it would turn out to be! 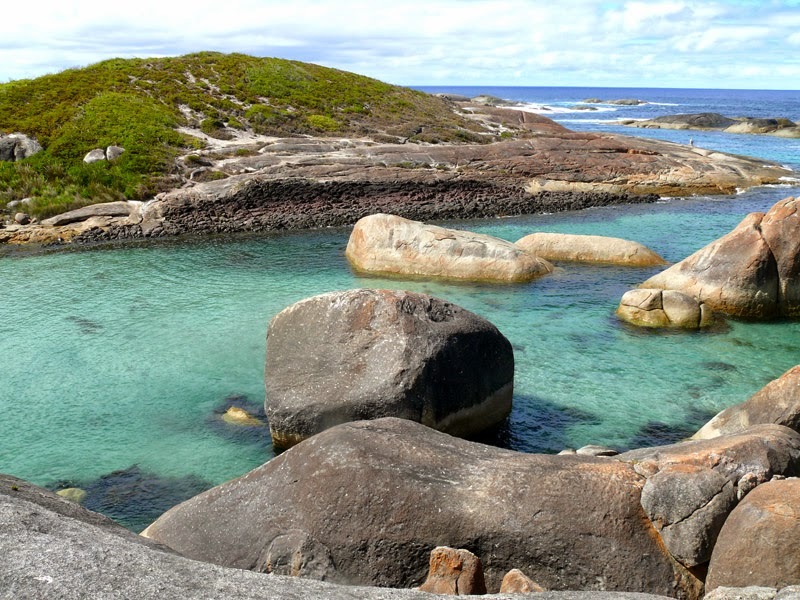 I want to come back here and swim around all those huge rocks in the water. We spent a morning in Albany, at Anzac Park. We visited the fantastic National Anzac Centre. 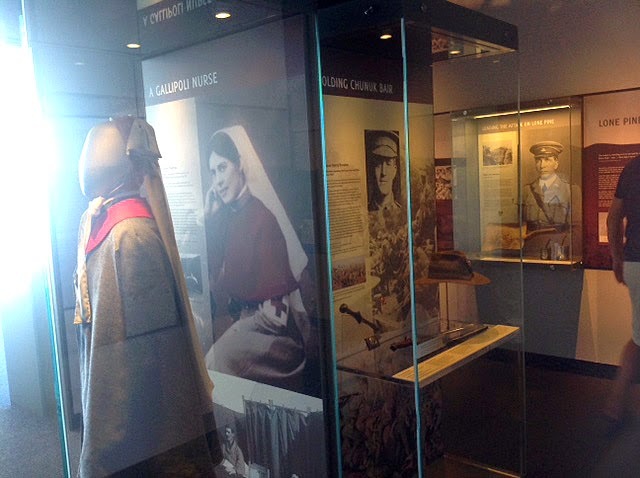 It's a WW1 museum where you are given a card which is the identity of one of thirty people in the war, and you follow their journey through the war, finding out at the end if they lived or died. It has been really well done, I've been twice within two weeks and was just as interested the second time around. If you are ever in Albany I recommend a visit here. 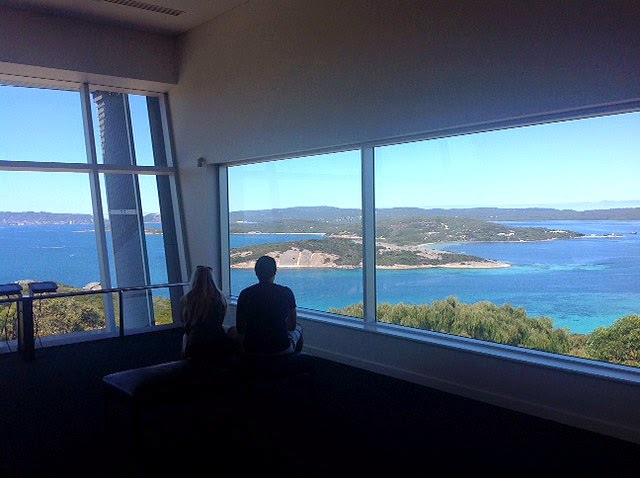 This is the breathtaking view from one of the picture windows inside the museum, showing the passage out to the open sea, the direction the Australian ship convoys took when they left Australian shores 100 years ago. We also walked up the hill to where the soldiers stationed at Albany kept watch for enemies. 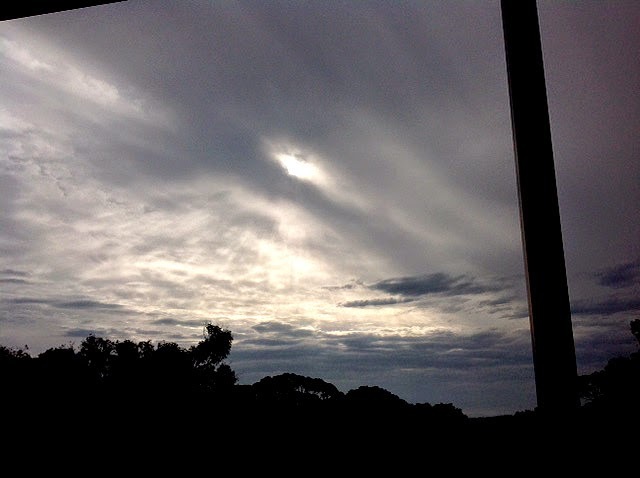 This little video I took is a panorama of that magnificent view again, showing where the ships departed. The island on the right is Breaksea Island, home of the little girl Fay, who was represented as one of the Giants in Perth recently. In the meantime I am harvesting the last of our goodies before everything quietens down for a while. I am still up to my ears in pumpkins, really pleased with how they've grown this year. 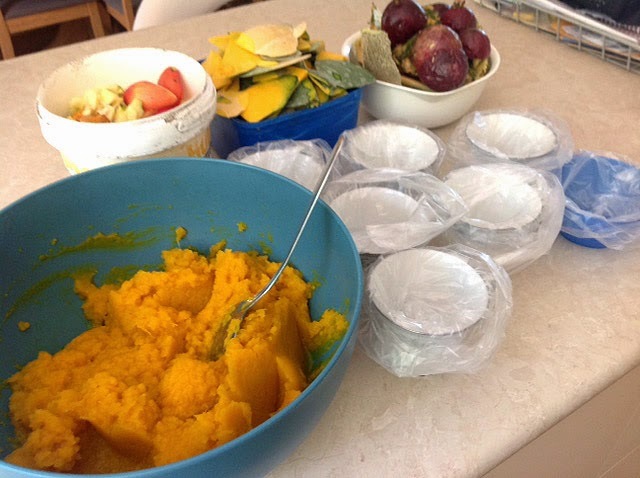 I had a morning of cooking up a giant one, some mashed to be frozen in cups for the freezer, very handy for making pumpkin scones. I also roasted a heap, then made a giant salad with roast pumpkin pieces, quinoa, diced fetta and toasted pepitas (pumpkin seeds). I wish I could figure out how to easily extract pumpkin seeds from their kernels myself, I just love them, but it is so tedious so I buy them instead. Roasting them is easy though, just bung em into a dry frypan and stir them til they start making little popping sounds, change colour and puff up a titch. They are DELICIOUS! 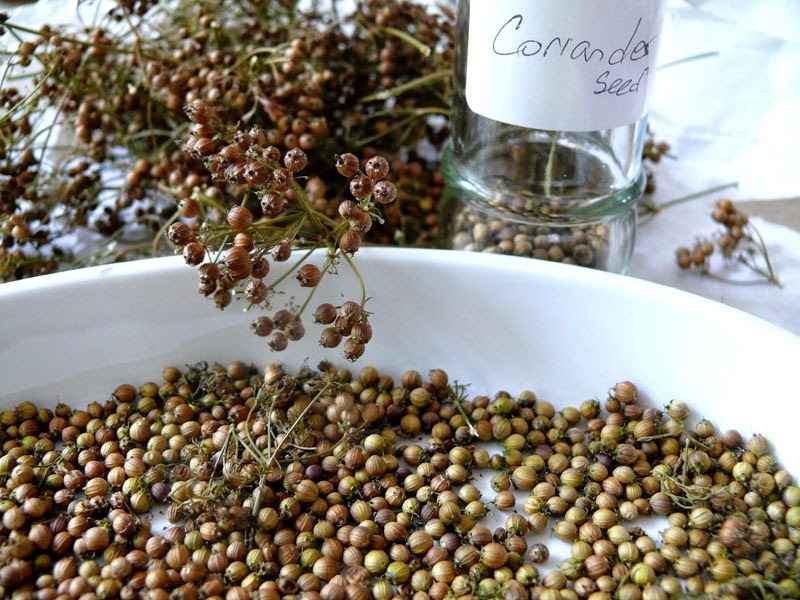 I also harvested and dried my coriander plants for the seeds. I love coriander leaves and would eat them in anything, however Steve does not, so I garnish with coriander rather than cook with it, and Steve gets a garnish of parsley instead. But, Steve will tolerate the taste of coriander seeds in stews etc, so I always save the seeds. The taste is different to the leaves, still quite pungent but in a different sort of way. I really enjoy saving seeds, to eat and to use for planting next season. Here is Patience outside the front door, wondering if there is any grub going. She usually looks in our bedroom window early in the morning, cute. 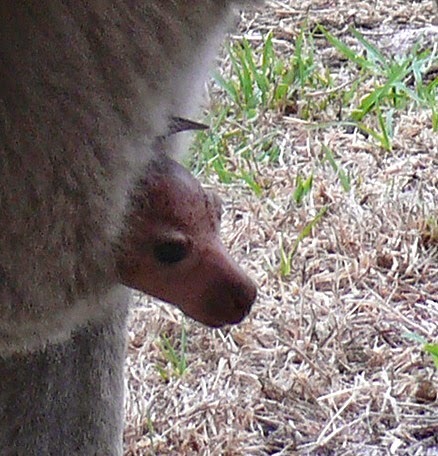 I was excited this day, can you see what is peeking out of her pouch? 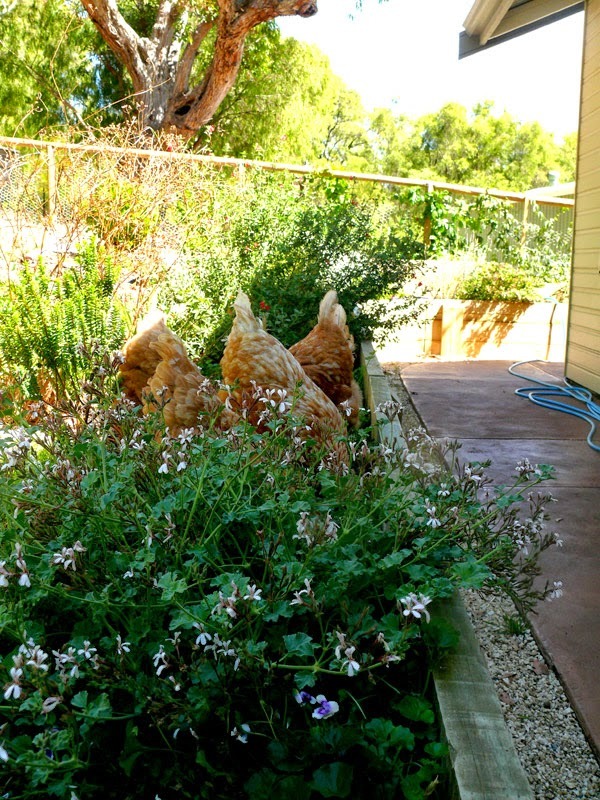 The chooks had a fun day recently. There are a lot of little crickets in my back garden beds so I carried the girls up one by one, and dumped them over the fence into the back garden. They were so funny, they went all shy and tentative being in a new place for the first time, but eventually they settled down to digging big holes in the garden, feasting on worms and chasing crickets. Heads down, bums up! 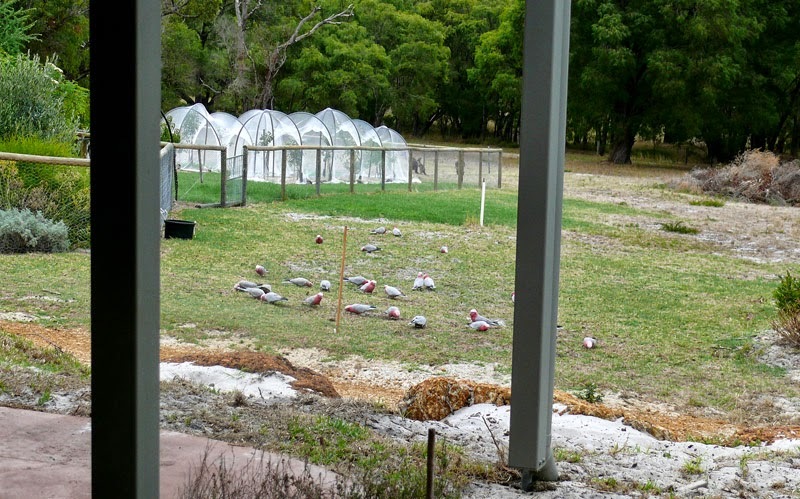 We are still being visited by many many pink and grey galahs, almost fifty every now and then. I do rather like them, they are so funny waddling along the ground with attitude. I have started saying hello to them regularly, I will fall over laughing if one day one says hello back! The other little creature that shares our lives is this lovable fiend. Neo has developed a fetish for the fruit bowl, and has become a midnight ninja. The last few mornings I have found the odd tamarillo, apple and grape on the floor where I think he has been batting them round the room, and this bunch of grapes was found dragged across the bench this morning, with the odd tooth mark in one or another. 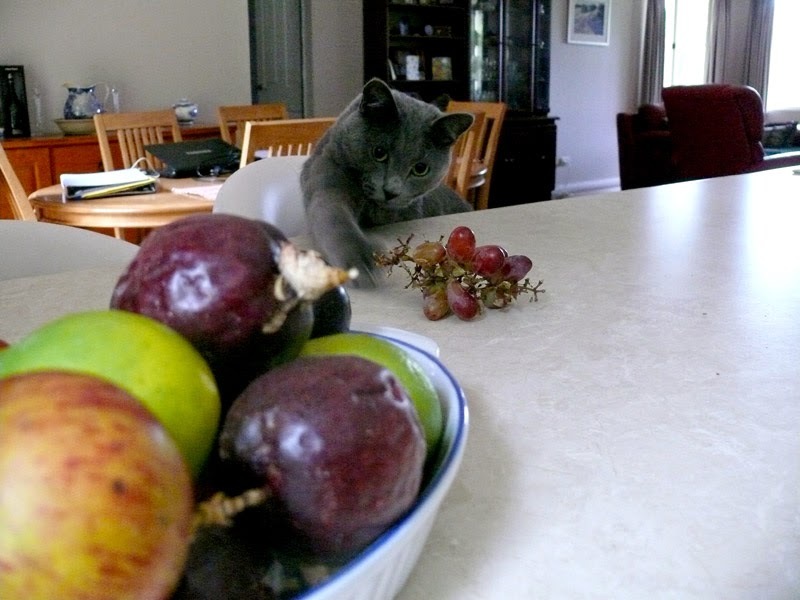 Even though Neo knows he is not allowed to put his paws on the benchtop and generally obeys when I am there, he couldn't resist reaching across and batting the grapes whilst the camera was out. Enjoyed reading your news Dy!